If you’re going to be reading this blog, you probably want to know about who is creating it. You can read why I decided to create it on the About page. I am sharing more than I usually do with people, but I want the people who read this website to understand my history and why I’m doing this. I never wanted to serve a mission. Both my parents served, and there was significant encouragement from members of my extended family to serve, but I was not interested. As far as I was concerned, missionary work was for the boys. Still, when it was about seven months away from my 21st birthday, I felt like I should at least ask if I should go. So I did. And I didn’t get an answer. At the time, I was happier than I had ever been. School was going great. I had some amazing friends. All was well. I was looking at going to Italy the next summer to help me learn Italian and, well, hang out in Europe. When I prayed, my wording was often along the lines of “I really don’t want to go, so please tell me no.” Not surprisingly, I didn’t get an answer. Finally, I decided to go into General Conference of October 2012 praying with a desire to do whatever the Lord asked of me. Just a few minutes into the Conference, President Monson announced the age change for full-time missionaries. I didn’t hear another word for the rest of the Conference. I knew that I needed to serve a mission. And I was devastated. Sunday I called to set up an appointment with my bishop and fasted to be absolutely sure. But I was heartbroken. Why was I being asked to leave NOW when my life was better than it had ever been? Why did I have to leave school and my friends? The next few days were difficult. My friends took me to get emergency ice cream more than once. I did not want to go. Not at all. But I wanted to want to go. I read about the Sons of Mosiah and I wanted to have the same joy and desire that they did. I pled for it in my prayers. But inside I felt despair. Wednesday night I met with my bishop. I cried as I told him what I felt. We made a list of all the things that would keep me from serving. We went through each one and either found a solution or put it in the hands of the Lord. Almost two hours later, I walked out of his office. Suddenly, instead of fear and despair, I was filled with excitement and hope. I ran through the field separating my house from the church, too excited to walk. I remember the shock on my mom’s face as I enthusiastically told her that I was serving a mission, and I couldn’t wait! My fear had been replaced with joy. 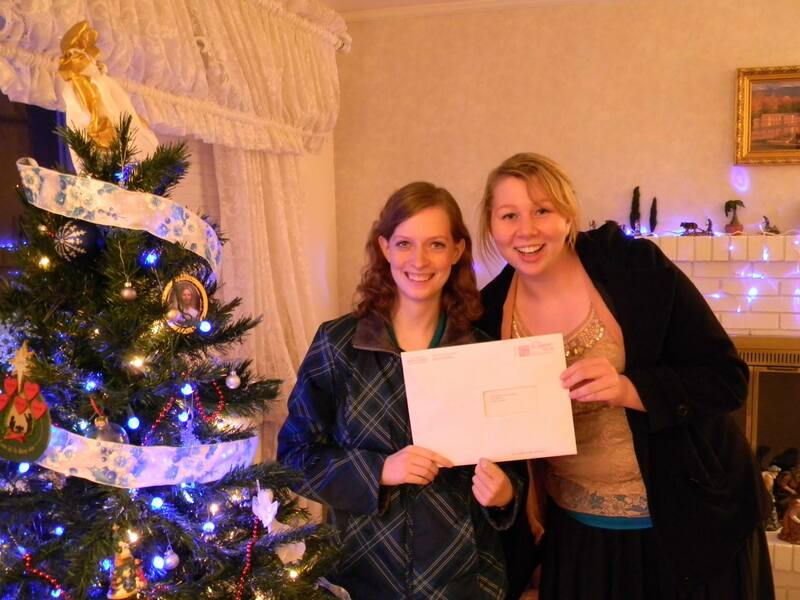 About two months later, my mission call arrived. I shouted the news across campus when I saw my friends. I couldn’t sit still in my classes. I had been hoping for a particular call, and all day I had been praying that I would not be disappointed about where I was called to serve. Finally I opened my call. I didn’t get the call I originally wanted, but I didn’t care. I was leaving in just over a month, and I was thrilled. At one point when I was taking care of paperwork for school, I had the thought that I needed to take care of something for when I came home early. I stopped, surprised. Come home early? Why would that happen? I forgot about it and moved on, but I think Heavenly Father was already preparing me for what would happen. I didn’t cry when I went into the MTC. I was too excited. I made up for it later, though. In one of my first letters home, I talked about how I needed to get windshield wipers installed on my eyes because I was always crying because of intense spiritual experiences or because of feeling inadequate and frustrated. The MTC was a wonderful experience. Mostly. About a week in, I got very sick will a virus that was only supposed to last for 24 hours. I was sick for a week. At one point, they almost took me to the emergency room. I read the entire Bible Dictionary and the missionary library except for Jesus the Christ that week. And I was frustrated! 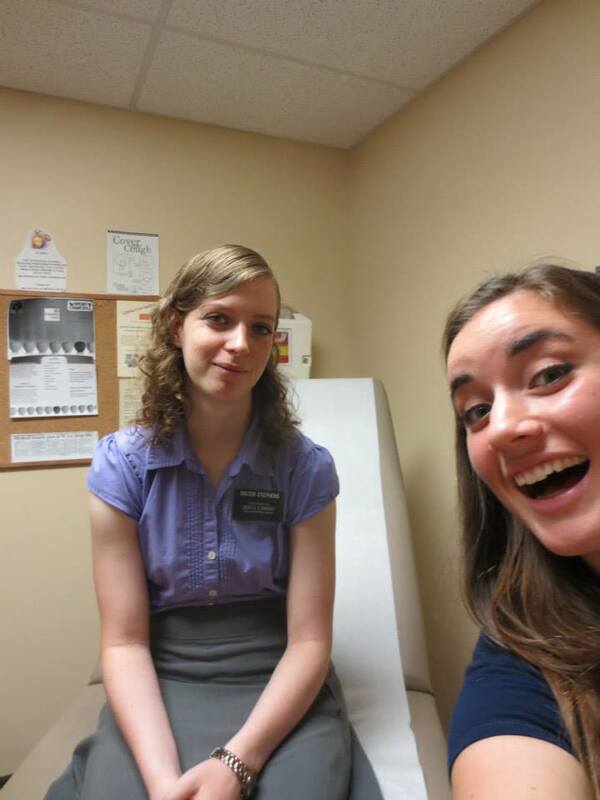 I wanted to be a missionary, not stuck in the dorm! At one point my branch president asked to meet with me because they were afraid I wanted to go home. I didn’t want to go home. I just didn’t want to be sick anymore. Eventually I recovered, and finally it was time to go out to the mission field. Oh, I loved my first area! It took me a while to understand some of their Southern accents. 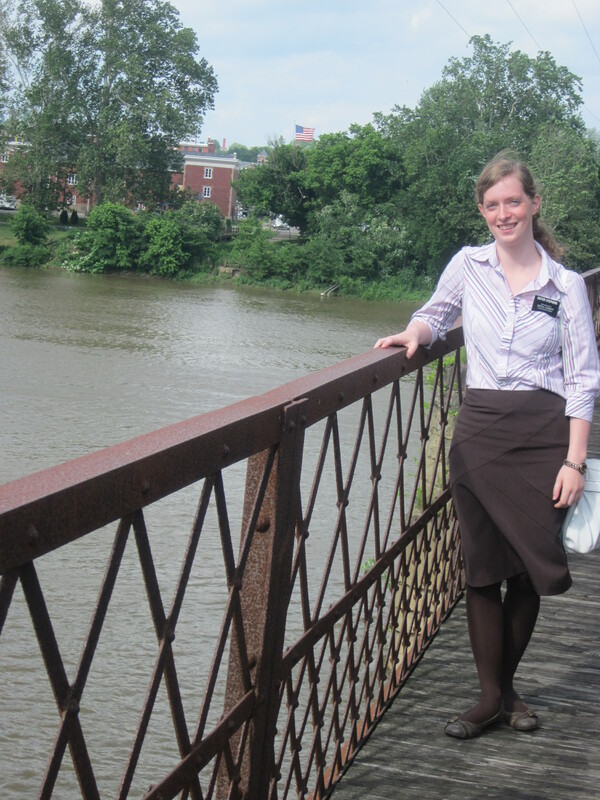 Teaching was terrifying, but my companion was patient and helped me grow into a missionary. Things were good. And then, still right at the beginning, I started to get sick. I had struggled with health problems in the past, but for some reason I assumed that I would be blessed while I served to not have those problems. Well, I did have those problems, and they came in fast. I tried to manage it, but nothing made a big difference. I started going to doctors to try to figure things out. I became very frustrated, much like I had been in the MTC. Why was I sick when I was trying to do a good thing? I had been called there for a reason, so why couldn’t I do what I was sent to do? I became so frustrated that every day was a struggle. I prayed for help to get through just the next hour. The days were long, and I slowly started to lose all joy and happiness. Soon, the mission leadership started to talk to me about whether I should go home. I prayed about it, but the answer was no. I knew that I could not look into my stake president’s eyes and tell him that it was right for me to be home. At that time, I needed to keep going in spite of how difficult it was. Then, my companion was transferred, it was even worse. I didn’t know how I could get along without her. I prayed to get through every hour, sometimes even just the next ten minutes. During this time, I learned a lot about relying on the Lord because I simply could not do it on my own. A member family had a terrible event in their lives, and my new companion and I went over to see if we could be of some help to them. Instead, I ended up talking to them about how frustrated and discouraged I was. They gave me some good suggestions and loved me enough to give me some hope. I felt horrible that I hadn’t been more helpful to then, but they were an answer to my prayers. My mission president also had my mom call me to help me get through the difficulty. The big event, though, was a zone conference. The theme was member missionary work. I don’t remember the details, but I remember the feelings I had. I felt strongly that I was there to work with the members, and even if no one I taught ever got baptized, if one member became more excited about missionary work, then I had fulfilled my calling. Suddenly, I was again filled with joy and excitement. I was still sick, but I didn’t care. I was there for a reason. Soon I transfered to another area. In that area, I had many wonderful experiences with member missionary work. I felt happy. Things were pretty good. Mostly. But I was still sick. What once had been a problem once a week was now happening half the week, or even every day. The doctors had no answers about what was bothering me. I could not think about the amount of time I had left because it was too overwhelming for me to think about. I had to think a day at a time. I started to have to cancel more appointments because I was sick, but I was still feeling pretty happy for the most part. I loved being a missionary. After this conversation with my mission president’s wife, I started to feel strange. I felt like something was off, or like I didn’t belong. Transfers were coming up so I thought that it just meant that I was going to be transferred. After two weeks of this, we got a call from our mission president after church. He asked if he could come by and talk to us that day. It should be noted that my mission was large geographically, so the fact that he was in our area was unusual. They came and my companion showed them President Pitt around the house we stayed in while I talked to my mission president’s wife. She asked about a few things, then said, “Is this really where you are supposed to be right now?” I said no. It shocked me. Tears sprung into my eyes, and I knew it was time to go home. The MTC hadn’t been the right time. Earlier that year had not been the right time. But, for some reason I didn’t understand, now was. I talked to my mission president and he gave me some council. I would be going home at the transfer in two weeks after serving for 7 1/2 months. After my mission president and his wife left, my companion asked me what happened. I sank to the floor against the wall, both laughing and crying. I was so relieved that it would be over. No more trying to do so much when I was in pain. No more worrying about feeling like I was not being the kind of missionary that the area needed. No more feeling sad about my companions not being able to serve as much as they wanted to. But I was also heartbroken. No more tracting. No more meeting amazing people and watching them change their lives through the atonement. No more wearing the name tag proclaiming that I was a representative of Jesus Christ. No more 24/7 complete focus on the Savior and sharing the gospel because I would have to do other things in my life. The hardest part was telling my family. The next day, my companion and I were in the library for emails. All of the emails I got were so encouraging to have faith and that I’d be able to finish my mission. Instead, I had to tell them that I would be coming home. Usually I got brief replies from my family, but I didn’t get replies that day. I felt sick to my stomach for most of the day because I was terrified about what they would say. As silly as it sounds, I wondered if my family would love me anymore because I had to come home early. That night, I had one of the most spiritual experiences of my life where Heavenly Father confirmed to me that everything would be okay and I would be taken care of if I trusted him. I had never known so powerfully that what I was doing was His well. Two weeks later at the transfer meeting, I was again having difficulty dealing with the fact that I would soon be boarding a plane to go home. The opening hymn was “Do What Is Right”. Tears came to my eyes as we sang “eyes that are wet now ere long will be tearless.” I again received confirmation that everything would be okay. And things were okay, at first. I was reunited with Facebook and movies and free time. Best of all, I could sleep whenever I wanted to. That was wonderful. But my sister was getting ready to leave on her mission two months after I got home, and I felt like it was my responsibility to make sure no one knew what I was going through so that everyone could focus on my sister. Naturally, not wanting anyone to know that I wasn’t okay made sure that I, well, really wasn’t okay. It was especially discouraging to go to many different medical specialists and still not find what the problem was. Because I had to reapply to BYU, I had several months before I was in school. By the time I did go back to school, I was suffering from extreme depression but I didn’t want anyone to know. I had always been good in school. The title “nerd” would be a good one for me. However, I was in such a dark place emotionally that I could not learn. At one point, I got a 14% on a test. I did not want to exist anymore. Everything felt hopeless and worthless. Actually, looking back at it, I don’t remember a lot from that period of my life. All I remember is darkness. I spent countless nights sobbing and pleading for help in my prayers but I felt cut off from God. Things got to the point where I felt like I simply could not continue. I told my Italian teacher that I was planning on dropping out of school. Again, school is one of my favorite things in life. I had no idea how I would tell my parents or what I would do instead. I was simply at rock bottom and I couldn’t go on any longer. I got a text from a friend that day asking how I was. I asked for a blessing. I had desperately been wanting one, but I didn’t want to tell my dad or my brother how I was feeling and I didn’t know who my home teachers were. He agreed, and he gave me a blessing. The night of the blessing, I started to feel like I should move to Provo. I was living with my family at the time. I couldn’t sleep that night. I felt like I needed to move immediately. The next day, I got up early and started shopping for apartments. When I walked into one, I knew that I was home. I went to that ward the next day, signed the contract on Monday, and moved on Wednesday. For the first time in six months, I felt like Heavenly Father loved me because I had this strong feeling that I needed to move. I moved into what I think is probably the most Christlike ward in the world. They took me in and loved me, even though I was completely broken. I learned a lot about Christ because of the way they treated me. They loved me back to being okay again. But not everyone has a ward in Provo to take them in. So many early returned missionaries struggle with the same things, but we go through them alone. I don’t want anyone to have to go through the darkness that I did. Most of what I say will probably be examples of what NOT to do, but hopefully it can be helpful. I want everyone reading this to know that the gospel is true. It’s real. I know that the Atonement is real and that it can take away pain, because I experienced it. I learned so much about the Savior through my experiences and I wouldn’t change one sleepless night in exchange for the testimony that I have now. I am so glad that I served a mission, and I’m glad that I came home. The Lord knew what He was doing with me, and I’m so grateful for all of it. I would not change one dark day in exchange for the wonderful things I have learned.